Looking for -- or want to start -- a goat brush clearing business? Looking for a goat brush clearing business to hire -- or want to start your own? 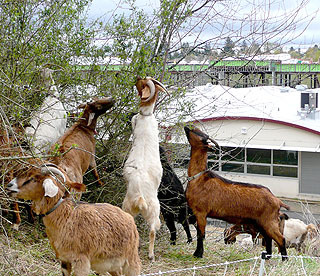 Ever wonder if brush clearing goats could benefit to your property? Can they help protect from wildfires? Also, could such ruminants be a viable sideline or full time rural business of your own? These questions will be explored here. The use of goats (sometimes along with sheep and cattle) is a growing brush-clearing trend in a world seeking environmentally friendly and cost effective methods for keeping land healthy. As well, goats can be excellent at reducing fire hazard, thinning understory beneath timberland so mature trees can grow stronger, and eliminating non-native invasive plants on public lands and on private farms and ranches. They can climb into areas that would be difficult for machinery or even a human on foot with hand equipment to reach. Other advantages are that debri from land clearing doesn’t have to be removed -- because the goats ate it -- with the debri replaced by fertile goat manure. When using goats instead of large machinery for clearing, permits for heavy equipment are not required, and the goats’ digestive systems eliminate the viability of seeds that pass through them, whereas mechanical clearing methods would leave viable weed seeds in the ground. Goats have even been used to restore wetland habitats. In Carroll County, Maryland several years ago, goats were rented to remove invasive plants from a wetland that was the habitat of the endangered bog turtle. Heavy equipment and herbicides would have further harmed the turtles. The use of goats for clearing land has become so popular in some locations, that landowners are able to start goat renting businesses and/or find goats to rent if they want to test the waters without owning goats of their own. Rent-A-Ruminant, LLC is a successfully owned ruminant land clearing service owned by Tammy Dunakin. Her seven-acre property is located on Vashon Island, which is a rural region near Seattle, Washington. “I currently have about 120 working goats and about 12 retirees,” Dunakin said. Though she lives in a rural setting, her goats have been transported and used to clear an eccentric list of locations including inner city schools and submarine bases. Her current success was achieved by considering and acting on an “aha” moment she received years ago, and then a willingness to get through the tough spots of starting a business. Dunakin had grown up with farm animals. “I had a small farm as a kid with horses, cows, a goat, and poultry,” she said. “I was a horse obsessed kid. I was in 4-H with my horses and FFA in high school.” But as an adult, Dunakin had become a paramedic and eventually worked in a trauma and burn intensive care unit. She was seeking a change of careers when the idea for the goat brush clearing business was sparked. “I was living on Vashon Island, Washington, which is a small rural island that is accessed only by ferryboat and about a 15 minute ride from west Seattle. I had a small farm which I have had since 1989. At that time I had two horses and a couple of goats. The business idea had been planted. “I took no action at the time,” she said. “But, it lived in the back of my mind as I went about my normal work-a-day routine. As the months turned into a year and the year turned into two years, I found myself absolutely desperate to get out of the trauma center. One day around this time I was in line for an espresso,” she said. “I did not want to be working for someone else anymore but I could not figure out what I could do that would bring me joy and that I could feel really excited about. A question for myself popped into my head. 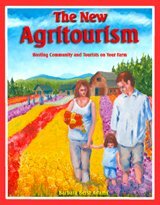 ‘What is it you wanted to do or be when you were a kid?’ The answer was ‘I wanted to be a farmer and work with horses and other animals.’ Then, the next thought was a light bulb and ding, ding, ding... the Rent- A-Ruminant business. “So, I started trying to figure out how I would do it. At the time there was one other person doing the business in Washington state. He was out of eastern Washington.” Washington state is divided by a mountain range that creates a dry desert on the east side and a wetter, even rainforest climate in some locations on the west side. 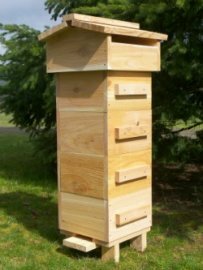 Dunakin, living in western Washington, decided to move forth with the business. “There was really not any place to learn about it. No books had been written and I was not a user of the internet much so did not even think of doing a Google search. I soon got a gig with the island parks department to do a job at a very popular park. As soon as I did that, the island newspaper did a feature front page story on us, and we were off! Goats can also certainly eat many plants the landowner doesn’t want killed, however, and will eat the bark from trees in certain situations, such as when they run out of their preferred brush. If landowners want to keep mature living trees healthy, timing and a close watch on the goats’ progress would be of importance. As well, along with some plants that are poisonous to goats, some situations pose other types of danger. The goats and their supervisors themselves must avoid locations that can harm them. “We cannot do areas with a lot of toxic vegetation such as rhododendron, laurel, azalea, poison hemlock, large quantities of bracken fern, and more, depending on the region,” Dunakin said. “We can’t do sheer cliffs. We can do steep slopes, however the wrangler has to be able to climb them to put up the fencing. They are not great in areas with a lot of downed trees that are like pickup sticks as it is very hard to put up fencing, and that situation is a hazard to goats for leg injuries.” She said that areas that are completely wet or soggy without any dry land for the goats to access and too much muck to walk through should be avoided. “They can do pond management,” she said. “They tend to avoid the water -- but not always. Mine have waded in it to eat cattails and watercress that floats on the water.” Goats also, obviously, cannot do areas with chemical spills or land with other dangerous substances. No one would allow goats to clear brush in areas where they have access to desirable crops or landscape plants they love to eat, such as blueberry plants, fruit orchards, and ornamental roses. 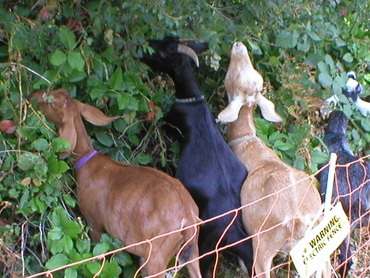 Goats, however, are sometimes actually used to purposely strip the bark of younger understory tree species in certain areas such as timber woodlots, and trained to leave the desired mature trees alone (search online “Goats in the Woods Project” at Cornell University for more about this). They’ve even been used by homesteaders to purposely strip the bark off cut downed lodgepole pines so the bark-free logs can be used for fencing or building furniture. Healthy goats no longer wanted by their owners offer a source of “workers” for Dunakin’s business. Owners can be happy the goats are going to a good home where they’ll live out their lives doing what goats naturally want to do. Certain types of goats seem the best suited for the brush clearing operation, though. “I obtain most of my goats when people call me trying to find a home for their unwanted goats. I call this rescue because most of these animals would have potentially ended up in bad situations or the slaughter house. I also get occasional calls from the local goat rescue when they have a goat that is just too wild to adopt out. My herd is a great alternative in these cases. I have also had a couple of goats find me. Once I was on a job in Tacoma, Washington, in the city. Some people stopped by who had just found a young and very wild goat running in their neighborhood. They could not find the owner so asked me to take him. That is how I got Petey. He came blind in one eye and most likely was going to be someone’s meal. I have bought a handful of goats over the years when I have needed to bump up the size of my herd quickly. But probably 75% are rescues. I got another goat when I was doing another job. The neighbor had a goat who was very lonely because his friend had died. They asked if I would take him and that is how I got Skippie. Depending on the location, brush eating goats may have an off-season to deal with during inclement weather such as snow and heavy rain. “My goats live on my property on Vashon Island during the winter months, Dunakin said, who has two high quality barns on her acreage. “I have them on about an acre total because I do not want them eating short winter grass and picking up parasites. I pretty much "dry lot" them in the winter. They have a paddock and the barns to hang in. They hate the rain which we get a lot of here in the Seattle area so they hang in the barns a lot. They also have to be fed 100% (during this time). My goats (including her retired goats -- which she allows to continue living out their lives) eat about 40 tons in the winter months of good quality hay. The barns are set up with feeders, making feeding easy. Today after much trial and error, Dunakin seems confident in her fencing strategy, which she combines with the act of always being watchful of the goats on their jobs. As far as getting the power needed for electric fencing to remote areas, even that type of power can be portable. “I use a 12 volt battery-operated energizer of good quality” Dunakin said. “I charge the batteries as needed but they last a couple weeks at least between charges.”One source for weeder goat owners on fencing supply and how-to information may be found in information on rotational grazing that’s customized to the goat owners’ own location through local agriculture extension publications or workshops. Rotational grazing with goats raised for fiber, meat or dairy has some similarities with tending goats for brush control in that the goats are frequently moved to new territory, often with temporary electric fencing. According to David Fernandez’s report mentioned above, “The insurance company’s attorneys can often help you recognize potential problems and advise you about the best course of action to avoid legal problems.” Fernandez also points out that one may need to shop around for the proper insurance company for various reasons such as, for example, if livestock guardian dogs are used. “In some cases,” the report states,”your insurer may not allow you to use guardian dogs, and your losses to predators may become unacceptably high. There are insurers that allow guardian dogs, and you should make the effort to find them.”Landowners who rent goats to clear brush on their property may also want to check with their own insurance company regarding if they, as landowners, might be liable for damages to the goats, to the goats’ supervisors, or even if the goats escape and cause damage elsewhere. Both parties involved would need to know upfront whose insurance covers which situations. 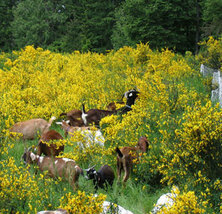 The use of goats for clearing invasive species and excessive brush is not new. According to the Encyclopedia of New Zealand, early settlers once rounded up feral goats into paddocks to clear problem blackberries and gorse. But in spite of the toughness and versatility of goats long used for brush clearing, they do have certain non-negotiable needs including hoof care and specific minerals unique to their species. Domestically owned goats definitely need intelligent care to thrive. But once goat owners understand how to keep them healthy, these animals can be of enormous benefit to keeping agriculture and other land parcels ecologically productive and safer from wildfires when the goats are properly managed. Whether people use their own pet goats to improve their own small holding, rent larger numbers of goats to clear and manage their larger property, or even start a goat weeding business of their own, the use of these ruminants can be a humane and eco-beneficial land management solution. Also, the danger of slash piles leftover from mechanical thinning debri causing extra fire hazard is eliminated when goats eat the debri and replace it with moist, fertile goat droppings. Landowners interested in operating a ruminant land clearing business have as one option, to start and operate on their own as did a founder of We Rent Goats®, who started the business after choosing to leave a lifetime in the cattle business. As another option, aspiring goat clearing business owners can purchase a franchise from an existing business that offers that opportunity. For example, the Rent a Goat™ business founded in 2010 at one time offered a franchise opportunity, although their current contact methods have been cut back due to overwhelming responses to their business. Tammy Dunakin has also chosen to expand her business by offering a franchise opportunity to other ruminant owners. She said she even consulted with one person about renting out his camels (camels are also ruminants.) Franchisees would be allowed to use the Rent-A-Ruminant (RAR) brand name, and would receive both initial and ongoing support from Dunakin. Dunakin sees branding as very beneficial to start-up businesses. “Branding means they come into a company with a history of good business and a great reputation,” she said. “It means consumers can go find this history on the internet and have confidence that the company they are hiring has a good, honest and known reputation. “Secondly, you get trained and mentored in every aspect of your business from A to Z. You also get ongoing support forever. It is very hard to break into a fledgling industry in a niche market. There are tons of mistakes one can make, especially when working with animals. With the franchise they do not have to make the mistakes because quite frankly, I have pretty much made every one, so they don't have to.” Dunakin’s program comes with guaranteed territories, websites, and marketing plans with all the written manuals for each plan and powerpoint presentations for each. It comes with resources for finding the proper insurance, equipment, fencing etc. Dunakin feels these benefits and more that her franchise offers, including a referral hub and other connections her business has made, would be attractive to those looking into renting out ruminants as fire mitigation and brush control.